Creation means that we are interconnected. Humans are indeed siblings and stewards of the rest of creation. The fall speaks to what happens when we place our individual hunger and need for power and control (for self-determination) ahead of the balance of the created order. God’s righteousness and justice are part of the fruit of God’s creative and holy character. The promise of salvation is the restoration of God’s intended purpose for creation. A creation centered on mutuality, peace, and human flourishing. God’s image in us gives us the capacity to respond to God’s grace-filled movement towards us, a movement that in the end provides for the salvation of all things. Living a righteous life means that we make incarnate God’s faithfulness, love, and mercy. God is faithful to the covenant: God promises to be our God and we promise to be God’s people. When we fail it is God’s steadfast love and mercy that keeps us connected and hopeful. Living in these ways means that we are invested in the love of God and neighbor. 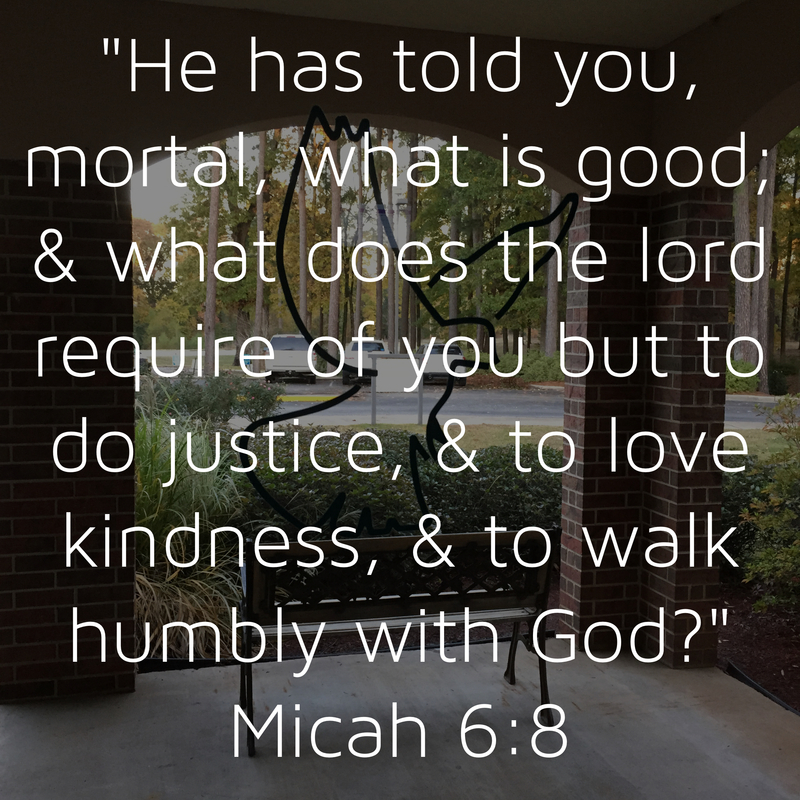 Justice is God’s call to the common good. It recognizes our fallen nature and how that nature creates an “us and them” mentality where the vulnerable, disadvantaged, and less fortunate are the most affected. Justice is a call to make God’s restorative and salvific work evident beyond our personal salvation. The Canticle of Mary in Luke 1:46-55 exemplifies the justice centered nature of our faith. It reminds us that a call to holiness is a call to care for those on the margins, those who are forgotten, and those who are despised. Mary in her song reminds us that this call is not new, it has been the call of God to her ancestors and the prophets of old. So justice is directly related to our call as disciples of Jesus. We are called to care for the common good. Called to be agents of the reconciling grace of God that sets things right in the world again. Justice seeking should not be a partisan position, for it is truly at the heart of our call to be a kingdom people. Justice seeking is truly centered on our call to holiness of heart and life. It is my prayer that we can have important conversations about justice. More importantly that the fruit of those conversations is a renewed conviction to be justice seekers, seekers of righteousness, for the life of the world.